The Scottish genealogy Society has published gravestone inscriptions of Wrriston, too! Howeber, this one is on CD only. Newington is also available on CD. Dean is being re-done, will be on CD, but will take a time to complete. I'm heavily involved with this one There are loads and loads of family stones which commemorate fallen sons etc. Eventually I'll have a note of them all. A few other SGS Mi (memorial inscription) publications are in book format. They can be viewed in our Library at 15 Victoria Terrace, Edinburgh. See webiste www.scotsgenealogy.com. It would save quite a bit of legwork! Thanks for the information. Unfortunately many of our forum visitors can't travel to the SGS library in Edinburgh so that's why we are posting the photographs here and not putting them on a CD in a library. There will have to be a bit of legwork after all. I am currently photographing all war graves in Warriston cemetery together with Michael McCue. This includes any dedications on family memorials. While doing so last year I was disgusted at the state of the cemetery. Many of the graves were overgrown with ivy and other noxious weeds. This had to be cleared before photography was possible. I contacted the cemetery officials who in turn contacted CWGC. Result a maintenance team came together with the Director General, the Director and the CWGC Reginal Supervisor (Scotland) and viewed the state of the place. (The process took several months.) The graves were cleared but some long term action needs to be taken. Whilst there they notified that two more names are to be inscribed on the screen wall by the memorial and other grave stones to be placed on unmarked graves. I have photographs of several available from all the Leith cemeteries namely - Eastern; Seafield, Rosebank, Warriston & S. Leith Parish Church. 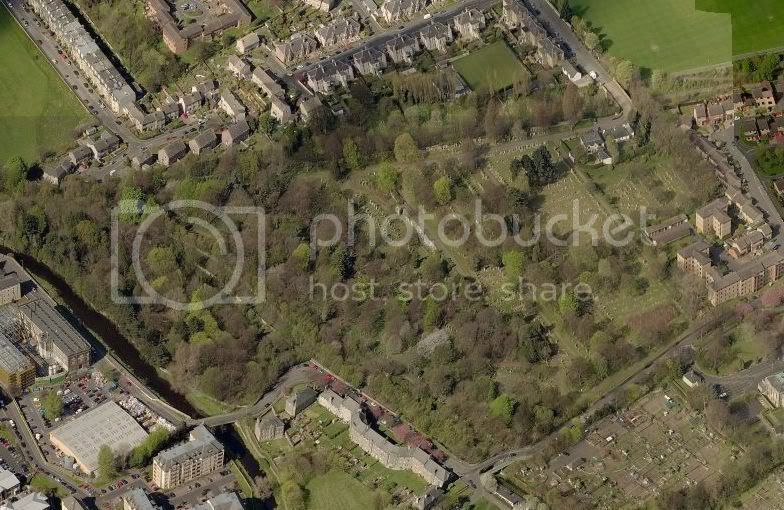 Warriston has to be the worst cemetery in Edinburgh. The council have given up on the Southern part of the cemetery and that is where a large number of CWGC graves are. I don't think a council worker has been to the part over the old railway line in years. It's a disgrace. I think part of the problem is that Warriston was one of a number of private cemteries taken over by the council a few years ago so it had already started to go downhill before they took over. I doubt the situation will be improved soon if ever. The CWGC graves should be moved to another cemetery such as Rosebank or Comely Bank where they would be beter maintained. Will let you know more today as I am off to take some more photos. The CWGC officials stated they will do some long term improvements to the graves - I await with interest! I was down taking photos in Warriston today and it would appear that someone (?CWGC) have cleared a path to CWGC stones in the older bit, certainly in the part under the old railway bridge, I managed to find all but 2 of the CWGC stones in that part. I will need to go back when the undergrowth dies down and I have on a stout pair of boots! If you can I will PM my email if preferred. Hi Charlie and welcome to the forum - look forward to seeing your pics. Have all the CWGC stones been photographed? If so, this will save me a visit. Will the photographs be posted here? Again, will look forward to seeing them. If anyone has had a problem trying to find the three ww1 graves in section Q they are in what was known as the secret garden.You have to leave the main cemetery and go through a hole in the boundary wall at the opposite end of the cemetery from where the Cross of Sacrifice is.If in doubt ask the folk from the Friends of Warriston who are normally clearing the growth from around the headstones.